Today, in my morning devotions and meditations, I did some online research to see how modern thinkers answer the question of why God sometimes does not answer our prayers. 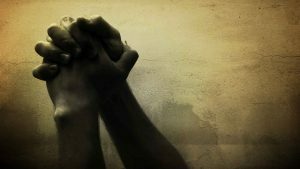 I was really disappointed to find so many articles that blamed the victim, claiming that the trick to getting God to respond to our requests is to identify unconfessed sin, or to simply pray more. I worry that we miss out on the rich depth of spirituality and of Divine-relationship when we restrict our understanding of God to this role of Prayer-Answerer. I believe that we can allow prayer to make us more thoughtful and more intentional about our lives by using the exercise to sort out our needs from our wants, and to bring clarity to our ways of thinking and of knowing. It is quite possible and normal, for example, to conclude a season of prayer with a changed request. By thinking through our position, we can come to a new place, a new understanding–and to a new petition. That process can be seen as the “answer” that God has provided–even though it could also be framed as “unanswered prayer” in that the initial request was not fulfilled. There are also seasons of unanswered prayer in which grief and sorrow are healthy, normal responses. The shortest verse in the Bible is “Jesus wept” (John 11:35). Even though Jesus knew that He could (and indeed would) raise His friend Lazarus from the dead, still the news of the loss of life triggered a normal, beautiful emotive response: Jesus wept. We must learn to change the narrative from a story about humans searching for answers and gifts–to one about spiritual beings who have been offered this sometimes trying, sometimes painful, often beautiful, always purposeful–human experience–for a reason. “Live life with a due sense of responsibility, not as people who do not know the meaning and purpose of life, but as those who do” (Ephesians 5:15). Instead of asking why God isn’t answering our prayer, we can learn to consider what we might be learning from our current circumstance, whether it be one of sorrow and pain–or of great joy and blessing. The conviction that purpose embodies them all brings life to life, and links the hope of Tomorrow to the reality of today. This change in narrative is possible when we allow God to “set eternity in [our] hearts” (Eccl 1:11). And then “we do not lose heart. Though our outer person is decaying, yet our inner person is being renewed day by day. For momentary, light affliction is producing for us an eternal weight of glory far beyond all comparison. For the things which are seen are temporary, but the things which are not seen–are eternal“ (2 Cor 4:16-18). ← Do you participate only as a leader?